This post contains affiliate links. If you make a purchase through these links, I will receive a small commission. This is at no cost to you but helps me to provide awesome content regularly. Thanks for your support! 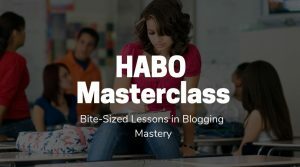 This post explains how to complete a blog audit, reviewing everything on your blog to elevate it to the level of a professional money-making blog. You’ll receive a free blog audit checklist to complete your own blog audit without having to enlist professional services. 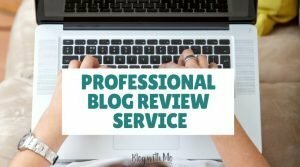 Ever wanted an experienced blogger to look at your blog, review it and give you some constructive criticism on how you can make it better? That’s a common ask I see in Facebook blog support groups, newbies asking more experienced bloggers for feedback. 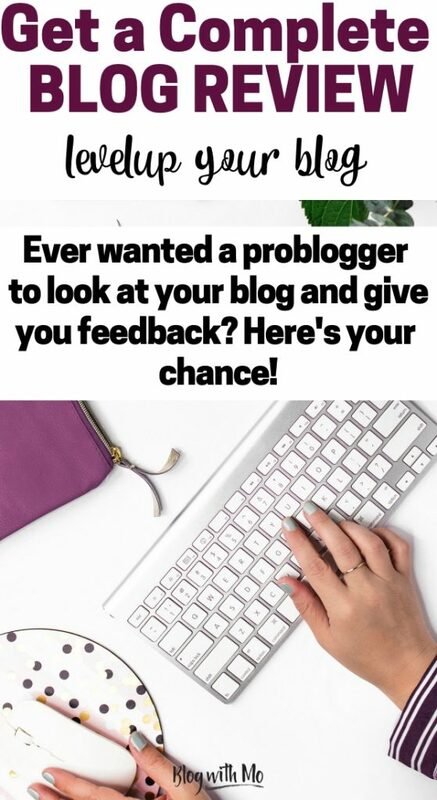 Even experienced bloggers ask other experienced bloggers to take a look at a new piece of content or maybe a sales page or a landing page for a freebie. It can be so beneficial for another experienced set of eyes to look at your blog or piece of content. Someone who’s far removed from you and your business and who knows what they’re doing. They’ll be able to quickly spot things you haven’t and give you feedback from a reader’s perspective. What if you could perform this task yourself with a list of things to check on your blog ever so often to make sure it’s in tip-top shape? Let me share with you just what a blog audit is and why you need to perform one on your blog every year or better yet, every six months. What is a blog audit? Who needs a blog audit? How often should you perform a blog audit? A blog audit is a complete review of your blog and everything stemming from it. This is a comprehensive check of your content, SEO, social sharing, email marketing, blog layout and design, monetization strategy and all the workflows you perform on your blog. It takes a look at your blog today, what has happened in the past and what should happen to meet your goals in the future. Your goals when you just started out will change as your blog grows. New systems should be put in place to help you to meet those goals. The old systems should be analysed to see what stays, what goes and what can be improved upon. Being able to do a blog audit regularly will help you to keep your blog fresh and competitive as new blogs are always coming on the market, wanting to take your spot. Wouldn’t it be amazing to have a professional blogger completely review your blog? Let me help you with that! 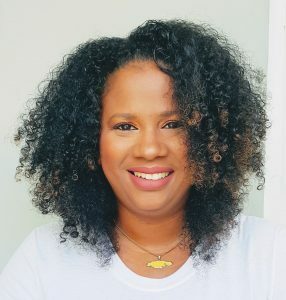 I’ll check all aspects of your blog, tell you what’s working and what can be improved upon and I’ll give you 5 actions to take right this minute that can help you make MORE MONEY, increase your email subscribers and grow your traffic on your blog. Sounds great? Grab a blog audit here. A blog audit can help every blogger. 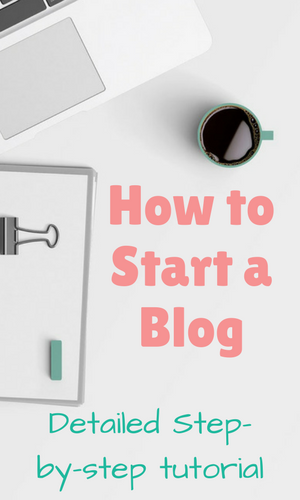 When you’re just starting out, you’ll want to check and ensure everything is set up on your blog and ready for the influx of traffic you’re about to receive. You want to check off your site design, your email service, your social sharing buttons, make sure you’re optimized for SEO, connected to Google analytics and lots more. It will be especially beneficial to you if you’re the one who built your blog and you’ve been working at it for a while. A fresh set of experienced eyes will help you with constructive criticism even though it may be difficult to hear. A blogger who’s been at this for a while and finds themselves stuck and not able to get more traffic or make any money could use a blog audit to identify where the problem lies. Using a checklist will help you to ask yourself the hard questions about your blog and what you’ve been working on to try and move the needle. Are you really working on the things that will help you to grow? Have you been avoiding things like SEO or email list building because they seem daunting? An experienced blogger can also utilize a blog audit every now and then to break through a plateau and scale your business. If you’re experienced, it means your blog has been around for some time. Is the content fresh? What about the layout? What can you change about your monetization strategy to grow to the next level. At the very least, you want to do a blog audit right now if you’ve never done one before and then do one every year. Great blog growth happens in a year if you’re really working at it and it’s important to analyse your progress so that you can keep performing efficiently. Know the saying you can’t know where you’re going if you don’t know where you’ve been? This is that. You need to take a look every now and then at your blogging progress. What’s working? 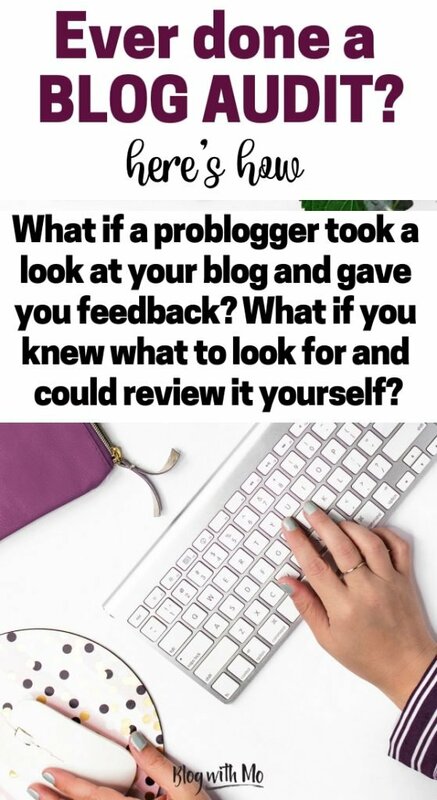 What’s resonating with your audience and causing them to leave comments and return to your blog? What kind of posts fell flat in never-never land and what went viral? I’ve used my audit checklist to substantially grow my lifestyle and health blogs so I know self-auditing works. This kind of information will help you to know what type of posts to continue producing and what kind of posts to trash or refresh. An audit can help you to narrow down your audience that you will turn into raving fans. Raving fans buy products you recommend, share your posts and jump on your email list. You’ll want to look at your social media channels as well. Which one experienced the most growth? Why is that so? Were you more engaged there? Did they bring you traffic? Should you invest more time or use that time elsewhere? What about your content upgrades and paid products. How did they do? What type resonated with your audience more and grew your email list or converted into cold, hard cash? You’ll need to know this so you can improve upon those products and create others similarly. Go through your website as a reader would. With all your hard work at blogging, you want to make sure that your readers are having a good experience on your blog. Are all your plugins working? When you share a post on Twitter, does it pick up your Twitter handle so you’re tagged in the tweet? Is your Facebook plugin still performing? What about your site design? Is it still fresh and relevant to your niche? What are the popular blogs in your niche looking like these days? How does your blog look on mobile? How easy is it for someone to leave a comment on your posts? Are there any broken links on your site? Are all your posts interwoven? Are all your posts optimized with relevant keywords and do all your images have alt tags filled out? Are there any pins or images that need to be refreshed? Let’s bring this altogether and look at what you’ll check for when completing a website audit. Fighting to win at SEO? Take my 14-day SEO for Bloggers Challenge today! Learn step-by-step how to SEO your posts and get passive traffic and affiliate income from search engines with each and every post you write. See what the challenge covers here. Here are all the things you’ll be checking for when completing a self-audit. When you download my free blog auditing checklist, you will get a better understanding of each point above. I look at each of them a little closer so that you’ll be able to perform your own self-audit. Find the checklist inside my resource library below. 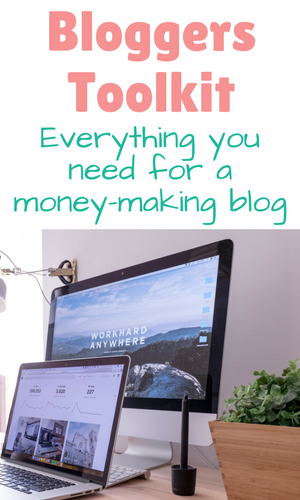 That’s a lot to think about but once you get through it all, your blog will feel so much lighter (and profitable.) Similar to how we clean out our wardrobes ever so often to make room for new outfits, it’s important to audit your blog regularly to keep it cranking. You want your blog to be a well-oiled machine, primed to make the most money or bring in the most traffic at all times. How often depends on you. I find that I regularly go through as often as every month. It’s easier to manage and doesn’t seem as mammoth a task when it’s time to do it. The end of year audit is my biggest one. We seem to always use the end of a year to spruce up for the incoming year and I make sure to do this on my blog too. With my monthly mini audits, this task isn’t as burdensome as it could be. 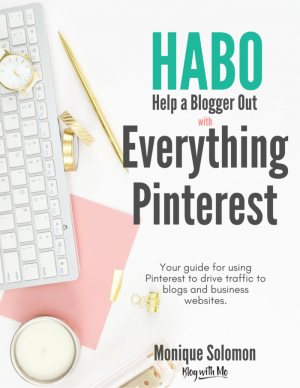 It’s important to get outside help in one way or another when completing your blog audit. This could be as simple as polling your readers, asking them to complete a survey on your blog. This will reveal to you what your audience wants from you. That can identify blogs post to write or even products to create. Knowing our stats is crucial to our success in all areas of life really. Blogging is no different. Dig as deep as you can into your analytics to find out how you can improve your blog and make the most of it. It’s no use doing all this content creation and blog marketing if you’re unsure of your efforts and have no clue how to take it to the next level. Put in the work. Have your handy – dandy audit checklist ready to go and break up this project into little tasks. Do it over the course of a week and then watch your blog grow. Want to get a sneak peak of what one of my blog audits look like? Here’s a mini version. This was a complementary audit for a member of my Help a Blogger Out Community who was having a bit of trouble monetizing her blog. If you’re not sure where to start or have never considered doing any kind of blog audit, this is for you. I offer free blog audits every month to either my email list or members of my Facebook Group. Download my blog audit checklist below and you will automatically be added to my email list for your chance to get this very useful diagnostic checkup for free. If you don’t want to leave it to chance, then let’s work together. In your complete website audit, I’ll take a look at your blog in detail and provide you with a video of me going over your blog, showing you ways to improve it. I’ll test everything to make sure everything’s working as described above and help you to craft a strategy to meet your specific goals. It will not be an overwhelming review. We already wear enough hats as bloggers and it can be hard to know where you should focus your energy in order to meet your goals. When you purchase a blog audit, you’ll be asked to fill out a form to give me the backstory on your blogging journey thus far. You will get specific, personal, actionable steps to take to improve your blog. Let’s give it a go, shall we? Related: Curious about the top common mistakes I see bloggers make in my blog audits? You’re in luck. Signed up & confirmed a few days ago. When should I expect it? Very helpful. I’m new to this and any info I can get on how to improve is son helpful. What are the top 3 mistakes you see bloggers make when you do your audits? Good question Dan, I have a post in draft that may go live next week on this very topic. However really quickly, my top 3 are not being self-hosted yet trying to monetise, not SEOing and not having shareable posts whether its a lack of share buttons or images sized and with descriptions ready to be shared. There’s also a disconnect for many in the type of content that will do well for their monetization efforts which is a whole post in and of itself. As a new blogger, this helps me a lot in getting more traffic to my website. Thanks! It can be super frustrating to grow a blog from the ground up. 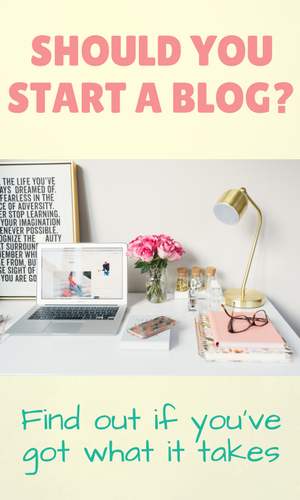 I can help you to start or grow your blog. Click here to work with me. 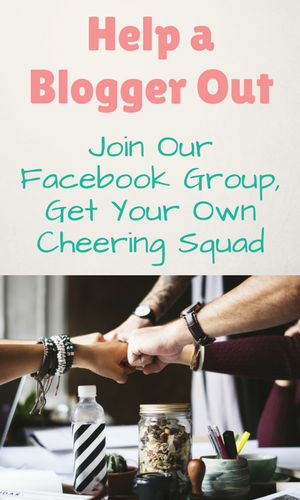 You can also join my free Help a Blogger Out Facebook Community to network with me and other bloggers like you.